Tropical Texas Behavioral Health at 103 N. Loop 499 in Hralingen will add a renovated building next door in a $2.1 million project which should be completed by May 2019. HARLINGEN — The scarcity of mental health treatment options in the Rio Grande Valley has been a source of anguish for patients and their families, but Tropical Texas Behavioral Health is attempting to bridge some of that gap with a major expansion here. The striking looking outpatient clinic at 103 North Loop 499 in Hralingen, one of four such clinics in the Valley, will undergo a $2.1 million expansion with the renovation of a former assisted living facility next door. The new Harlingen space is merely the latest development in the recent history of fast-growing Tropical Texas Behavioral Health. The company has added a new clinic in Weslaco, which Crocker said will celebrate its grand opening next month. Crocker has been with Tropical Texas Behavioral Health, headquartered in Edinburg, for 15 years, and if anything, demand for mental health treatment services continues to increase. 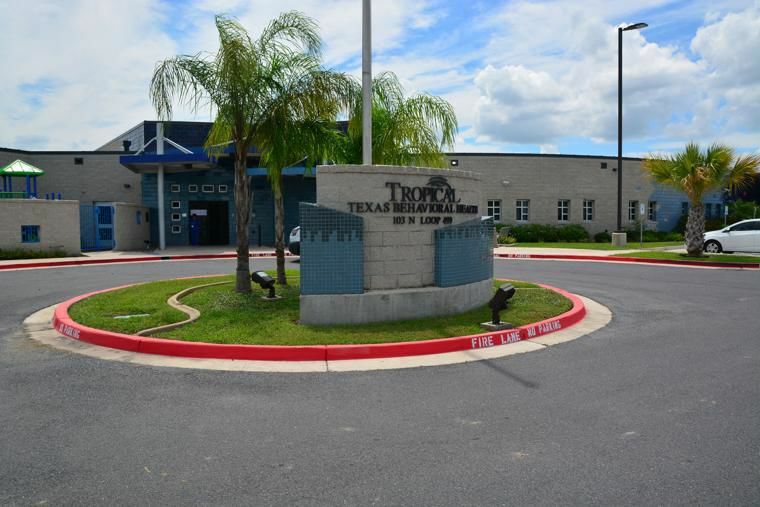 Unlike the $13 million Palms Behavioral Health in Harlingen, which opened in 2016 with a 94-bed facility, Tropical Texas Behavioral Health offers strictly outpatient services. The privately held company reported revenues of about $85 million in its 2017 annual report. Tropical Texas Behavioral Health clinics offer patients treatment for intellectual and development disabilities for children and adults, substance abuse disorder and mental health adult services. The clinics also provide veterans and peer drop-in centers, depending on the site. These services continue to be in very high demand. Crocker said some of the difficulties in mental health treatment which arise in the Valley are less about hospitals and more about a lack of a robust mental health services infrastructure. “We get almost a continuing flow of people coming to us, and so we struggle to keep up with that demand,” he said. “One of the problems we have is we don’t have a back-door to service, so when we get someone stabilized in care we need private providers and other people to be able to pick up that care they may provide. Tropical Texas Behavioral Health was formed in 1967, and one of its most enduring relationships in the region is with Valley Baptist Medical Center, he said. “One of our oldest and strongest partners,” Crocker said. But they are forging a new mental health treatment partnership with what some may find a surprising entity — the Harlingen Police Department. “We have a very close relationship with the Harlingen Police Department as well,” Crocker said. “They’re doing some innovative things there in regards to treatment of people who have mental health issues.